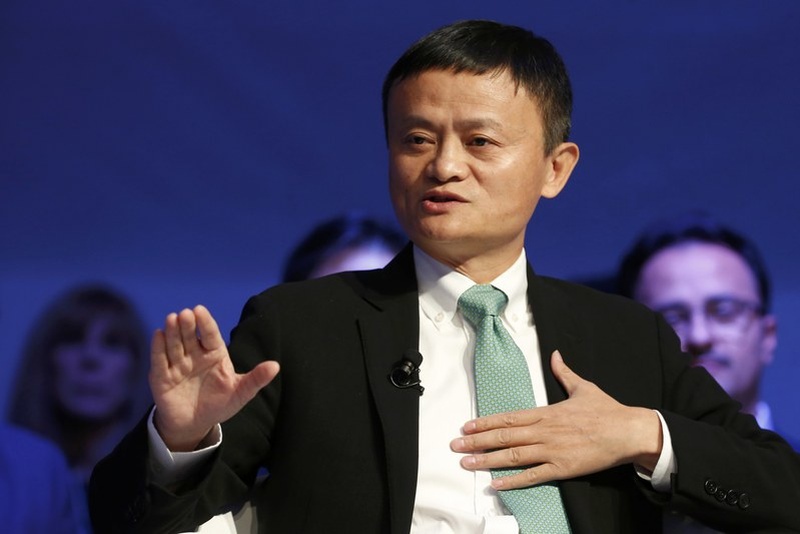 This week, key business leaders and political figures are converging in Davos, Switzerland for the World Economic Forum’s Annual Meeting, and of course, Jack Ma was present. Other guests include outgoing US Vice President Joe Biden, US Senator John Kerry, China’s President Xi Jinping, as well as celebrities such as Matt Damon and Shakira. Before Jack Ma took the stage in a much anticipated session, Alibaba was first represented by the group’s CEO Daniel Zhang. 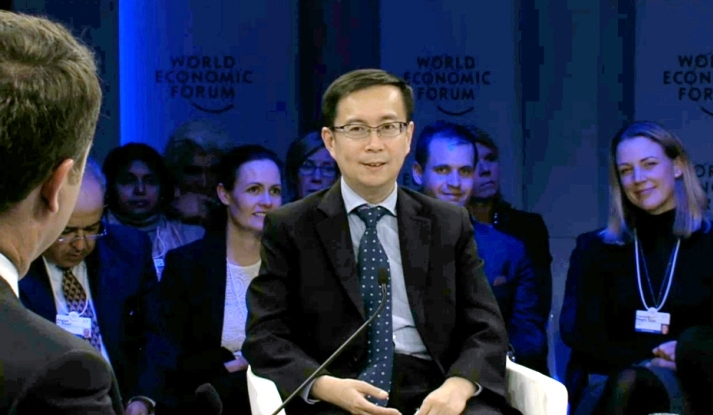 In a panel discussion with business leaders at the World Economic Forum annual meeting, the Alibaba Group CEO talked about how technology has changed the experiences for shoppers both online and offline. Stressing that both should co-exist and not be seen as separate, he gives examples of consumers going to a mall. These people still go to the stores for the experience, but at the same time, are still online (on their mobile phones). So it is up to retailers to use new technologies to integrate the online experience every time shoppers visit brick-and-mortar stores. In the current data driven world, often billed as the Fourth Industrial Revolution where the Internet of Things are prominent, the biggest risks to companies now are disruption, disruptive technology and disruptive business models. Later on the same day, it was Alibaba’s founder turn to speak with an audience and the very first thing they talked about was his recent meeting with president elect Donald Trump. Much like everyone outside of the US, Jack Ma only knew of Trump through the news and media and when he was given an opportunity to meet Mr Trump, was admittedly hesitant at first, saying he was not ready. A few requests later though, he was on his way to that very meeting. They talked about agriculture, bilateral trade between China and the US, and small businesses. Small businesses, in particular those in the US, and how they can leverage on the Alibaba Group to sell their goods to China and create jobs along the way. The end goal is to create 1 million jobs in the US in 5 years. The bulk of jobs created will come from the small businesses and logistics companies who are willing to come on board with Alibaba. Jack Ma commended the US’ pivot – going from an industrial and manufacturing heavy economy to one that outsources the former to developing countries, and instead are concentrating on tech and finances in Silicon Valley and Wall Street. While this had done wonders to the US economy, the fact is that the country participated in multiple wars and conflicts in the past 30 years amounting to US$14.2 trillion in “wasted wealth”. This amount of money, or at least a portion of it, could have instead been siphoned to help develop industries and building infrastructure back home, giving more jobs to blue and white collar workers. Jack Ma is all for globalisation, and commended the USA for being the global model for it, albeit still needing improvement. One way is to practice “inclusive globalisation“. Historically, globalisation has been controlled by those in power – big multinational companies. 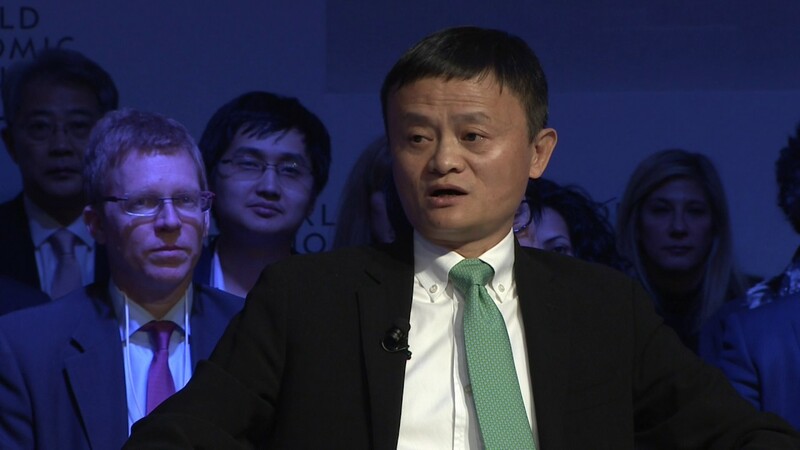 Jack Ma’s vision is to go beyond that, and to instead support 6 million businesses, and 20 million small businesses. Moving on to the World Trade Organisation (WTO), the Alibaba founder felt that it was only designed for developed countries and big companies, leaving no opportunities for small businesses to participate in cross border trade. 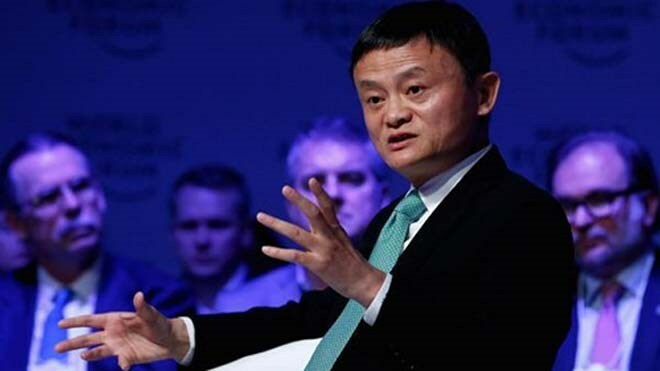 One way that Jack Ma wants to circumvent this is to create an Electronic World Trade Platform (EWTP) to support young entrepreneurs and small businesses to sell abroad. The WTO’s second problem is that because it’s politics-ridden, agreements are hardly made, so since the EWTP will be a congregation of businesses, trade agreements can be made without external pressures before being presented to the governments. Moving on to comparisons with America’s own Amazon, Alibaba in retrospect is the direct opposite of the US’ number one e-commerce platform. Amazon has a very asset heavy business model and is on a mission to own entire supply chains from beginning to end – owning warehouses, planes, logistics companies. 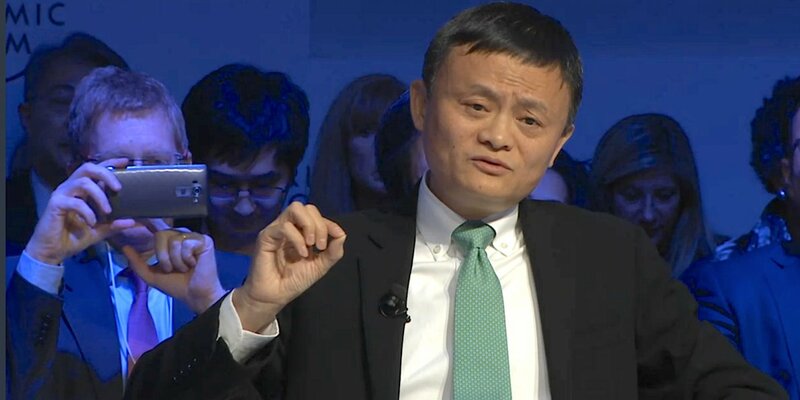 Jack Ma, though, took a step back to clear the differences, first saying that Amazon is more like an empire, where they are in control of everything, while Alibaba is more like an ecosystem, empowering partners and small businesses through technology to compete with all the biggest companies in the world, including Amazon. However, he goes on to say that having both business models are still essential, because it would be boring if everyone ran their businesses the same way. Still, regardless of the way you run your business, Jack Ma stresses that you should be open to accept criticism, and accept what’s right or wrong. 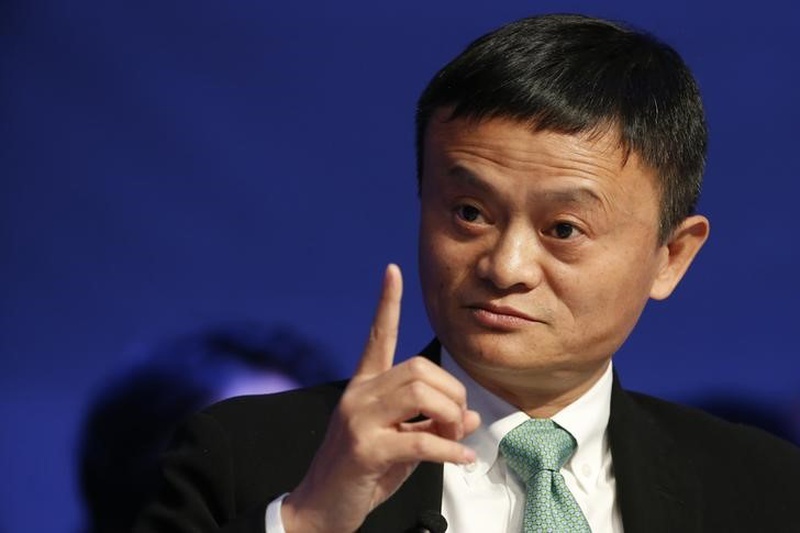 Any session with Jack Ma will definitely see the mention of piracy within Alibaba being brought up at some point. Saying that Alibaba is more an internet company than an e-commerce platform, they are constantly crunching big data to isolate those selling pirated goods, narrowing them down to not just listings, but even to where the goods are delivered from, and their place of manufacture. However, just because they have all the data doesn’t mean that they can do anything other than shut down listings and close accounts (370 million of them). For everything else, they also work with the Chinese authorities, and have sent over 400 people to jail in 2016. 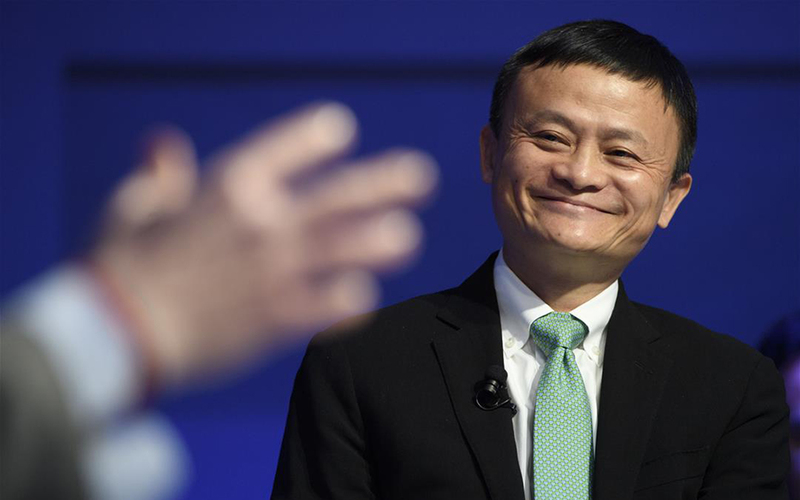 Coincidentally, a day before Jack Ma graced the studios at the World Economic Forum, Alibaba announced the formation of their Big Data Anti-Counterfeiting Alliance with partners that include Louis Vuitton, Samsung, and Mars. It’s no secret that Jack Ma’s favourite movie is Forrest Gump, and he often uses quotes from the film in his interviews. He did it again at the World Economic Forum, with the most telling being: “nobody makes money by catching whales, people make money by catching shrimps” to further emphasise his company’s direction in supporting small businesses. His intentions to go into entertainment and Hollywood is to create happiness that transcends demographics. This is because in every decision being made within Alibaba, they assess if whatever they do is able to impact society, and solve its problems. The bigger the social problem, the more successful the company is. Making comparisons between the east and west, he elaborated that Alibaba wants to be the typical Hollywood hero that lives through the film, unlike Chinese films. where heroes die early. To round off the interview, Jack Ma mentioned 3 things that governments and businesses should be taking note of – all revolving around the number 30. First, is to make technology more inclusive to people around the world, and to bring change in the next 30 years. Industrial revolutions typically take 50 years, and we are already at the 20-year mark of the fourth, having seen the founding of tech giants such as Google, Facebook, Amazon, and Alibaba. Thus, the next 30 years will be important in seeing the implications of all this technology, and also finding ways to make it more inclusive. The ones who will lead this change are those 30 years old, or above. These are the people who will build the world in its current form, and one way will be to start small businesses which will in turn create more jobs. Lastly, the spotlight would also shift to the small businesses – the ones with fewer than 30 employees. Interested in catching what he said? Catch the entire interview in the YouTube video below.